The new season of NFL or National Football League is approaching. It will be the 99th season of NFL which will kick off in 6th September, 2018. The regular season will end in 30th December, 2018 and later the playoff round will start and then Super Bowl. NFL is the most prestigious American football competition where the players used to fight for the ultimate glory. defensive rookie of the year candidates list below. Barkley enters the league celebrated as the most complete back in years. He’s expected to make an immediate difference for a running game that hasn’t averaged 100 yards per game since 2015. Though the Giants have also added tackle Nate Solder through free agency and drafted guard Will Hernandez, the offensive line remains an area of concern. If the line holds up and New York makes a marked improvement from their 3-13 record of a year ago, Barkley’s a shoo-in for the prize. Baker slots into the worst situation in the NFL, but as he said before the, if anyone’s going to turn the Browns around, it’s him. Mayfield first has to win playing time from incumbent starter Tyrod Taylor. If he manages to do so, and helps a franchise enjoy more success than it has in the past two seasons (1-31), he’ll be hailed as both a savior and a front-runner for Offensive Rookie of the Year. Rosen is considered the most pro-ready quarterback among this year’s crop of passers, but he’s in a position where he’s not expected to start right away. The Cardinals paid a rich contract to Sam Bradford to install him as the 2018 starter. If Bradford falters or succumbs to injury, as he has often in his career, Rosen will be surrounded by enough talent to allow him to thrive in the NFL. With only AJ McCarron ahead of him on the depth chart, playing time might not be a question for Allen. However, he’s viewed as a raw prospect drafted on account of his big arm. A lot would be required of the Wyoming product for him to win Rookie of the Year. The Bills just ended the longest playoff drought in major professional sports last year. If he returns Buffalo to the postseason with a significantly reduced roster, that’ll do the trick. Derrius Guice is a professional running back and currently playing for Washington Redskins of NFL. A first-round talent, Guice was passed over by almost every team before he landed with the Redskins in the second round. If the power back can channel that slight and stay healthy, he’ll likely be everything the Redskins have been wanting and more in a running back, putting to end a turnstile at the position. 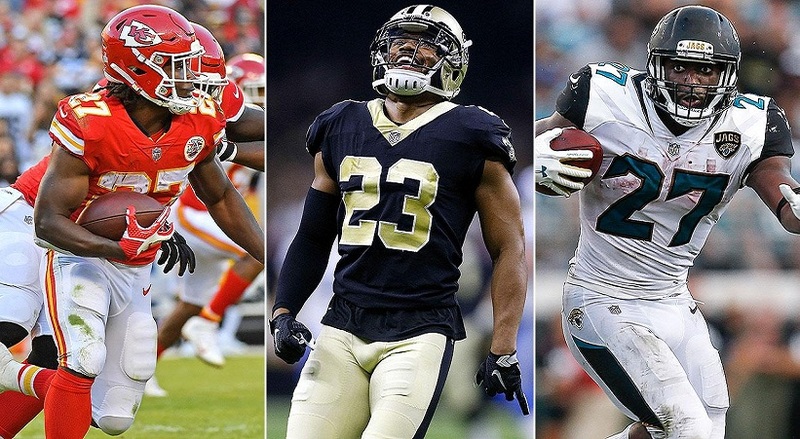 Besides, there are more players of different teams of NFL are considered as the candidates of offensive rookie of the year 2018. Some of the considering players are Rashaad Penny, Quan Smith, Royce Freeman, D.J. Moore, Lamar Jackson etc. 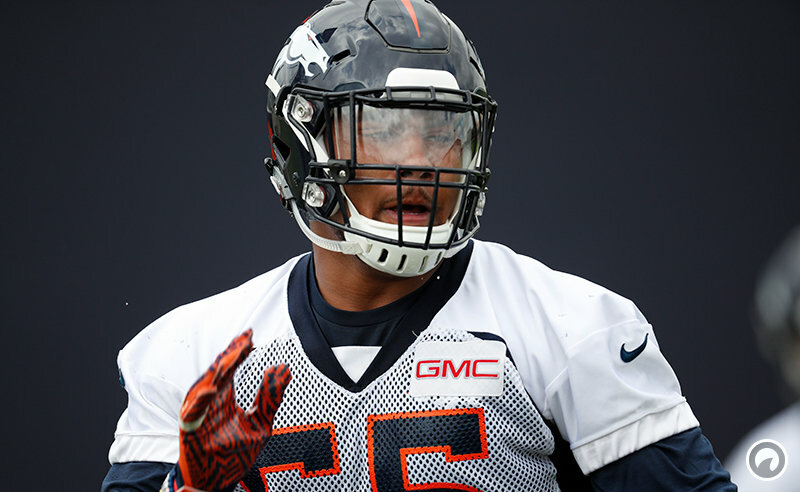 Bradley Chubb is playing for Denver Broncos as the professional American football outside linebacker. He is also known as Bradley Austin Chubb. He would be an effective player and has the different style. He would be a good teammate of Von Miller. Roquan Smith is a professional line backer of American football. He is officially known as Roquan Daevon Smith. He won Butkus award as the first Georgia Bulldog. He is playing for Chicago Bears of NFL 2018. He has a natural talent and polished skill in the territory of linebacker. He would be a perfect addition of Chicago’s defense. Tremaine Edmunds is also known as FeZahn Tremaine Edmunds and currently playing for Buffalo Bills of NFL. He is the professional linebacker of American football. At college football, he played for Virginia Tech. He has arrived at the Buffalo Bills in 2018. He would be a true playmaker in the defense of Sean McDermott. Derwin James who is officially known as Derwin Alonzo James Jr. He is the professional American football safety and playing for Los Angeles Chargers of NFL. At college, he played for Florida State. This 22 years old player was drafted in the 1st round of 2018 NFL draft. Maurice Hurst is playing for Oakland Raiders of NFL 2018. In the current year 2018, he has joined with the team Raiders. He is playing as defensive tackle. Besides, there are some more defensive players which are in the list of rookie of the year candidates 2018. They are Jaire Alexander, Marcus Davenport, Ogbonnia Okoronkwo, Rashaan Evans, Lorenzo Carter and some others.